Sometimes you can interview numerous candidates and not find what you are looking for. On the other hand, on rare occasions, you can receive the gift of interviewing the right person for the job during your 1st interview. Some managers make the mistake of not hiring the person because they want to interview more candidates for comparison purposes but end up disliking the additional candidates and losing the perfect candidate to the competition. If you interview a great candidate who is meeting the majority of your requirements, you should hire them. If you still feel like you need to compare more candidates, you should consider hiring the candidate on a contract-to-hire basis. If you do find a candidate who you feel is a better fit after bringing on the contract-to-hire employee, you have an excellent employee who can replace an under performer on your team or be available to take over someone’s seat who is leaving for a new opportunity. On numerous occasions, we have seen candidates take a role with one company over another because they really like the hiring manager and team members of the prospective company. In many cases, IT candidates with experience using marketable technologies are currently employed and are interviewing with more than one company for a new opportunity. They have options and don’t necessarily have to leave their current employer if they aren’t feeling good about the opportunity. An extra gesture of kindness can go a long way and could possibly be the “X” factor that causes the candidate to choose your opportunity over another. During your interview, you have the candidate foaming at the mouth while you tell them about the new solutions they are going to build using the hottest technologies, leveraging best practice methodologies, and they value they will bring to the organization due to the input they will provide regarding critical design and architecture decisions. When they start the role, they are actually doing production maintenance 8 hours a day on a legacy application written in classic ASP, DCOM, and VB6. Sure, they are getting paid to a job and we don’t always love 100% of what we do during the day. However, the scenario mentioned is a recipe for disaster if it is intended for anything other than a short-term project for the candidate. Let someone else on your team who may not be as talented or creative work on these less challenging projects and you will retain the most talented employees much longer. All markets have a way of correcting themselves. Candidate salaries is no exception to the rule. Some candidates will consider a lateral move in pay but it extremely rare that a candidate will accept less money to come work for you unless they are currently working in a location that pays significantly more than where they will be working in the future. Be as competitive as you can with your offer. When was the last time you reviewed the technical test you are giving to candidates? Are you having someone give VB.NET questions to C# candidates because you used VB.NET 8 years ago and forget to update the test? Are you asking questions that aren’t even relevant to your technical environment anymore? Believe it or not, we have seen this situation and many others. Are you asking questions straight out of a Computer Science book from 2000 or are you asking modern questions that relate to best practices that are relevant today? If you are finding that numerous candidates who are currently employed and hold Computer Science Degrees from reputable schools are flunking your test, you may want to reevaluate your test. The most efficient interview process includes an initial technical phone screen or screen share and then a 2nd 1-2.5 hour final interview onsite at the company’s location with all of the parties that are involved in the decision making process. The initial technical phone screen or 30 minute technical test will suggest that the candidate meets the minimum technical requirements and if choosing the phone screen, will also give you an idea of how well the candidate communicates. What about companies who have multiple decision makers for the role and are in different cities? These folks should consider using Skype or some other web-based meeting tool where everyone can meet at the same time regardless of location. The market moves too fast to have to wait 1-2 weeks for a particular hiring manager to be in town to meet the candidate onsite. Don’t be afraid to embrace technology to make your hiring process more efficient. Your competition will be doing this soon if they aren’t already. If your company’s hiring policies for a Direct-Hire (permanent employee) are simply too inefficient and there is no way to speed up the process, you should consider hiring someone on a contract basis with the option to hire (assuming you have less hurdles to jump when hiring a contract employee). Time is your worst enemy in the fight for top talent. Every day that goes by, a marketable IT candidate who has a presence on social media is getting at least one call or email from another company who is looking for similar skills. You should make an offer no later than 48 hours after the final interview. Most candidates are realistic in the fact that a company may need to get approval from finance which can take a day and/or give HR time to put together an offer letter. If you let too much time go by, the candidate will get the impression that you aren’t very interested. If they think this, they will continue to interview with other companies or eventually lose interest in the company altogether. Having the candidate create a piece of software on their own time as part of the interview process is an interesting idea. It is a great opportunity to see their code and problem solving skills. Also, if a candidate really wants the job, they will complete it, right? Not quite. 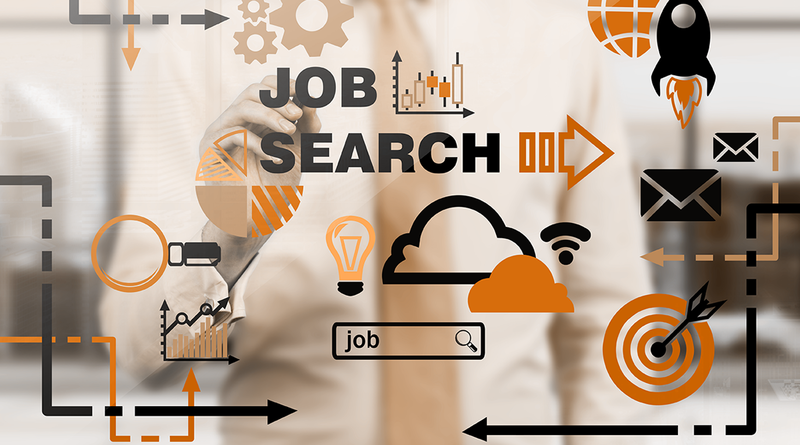 In a hot candidate market, most candidates already have a job and at times are putting in heavy overtime hours to meet the demands of their current employer. Although they are very interested in your opportunity, they often don’t have the spare time to complete the project despite their best intentions to do so. To further minimize their free time, they are often interviewing with another company (or companies) while they are participating in your interview process. There is a very high probability that this candidate will accept a competing offer from a company prior to completing your test. A more efficient method would be to do a technical phone screen, administer a computerized test that takes 20-30 minutes to complete, or have them participate in a virtual screen share meeting to observe their code in real-time prior to a final onsite interview. Many IT professionals have pulled “all-nighters” to finish a project on time and even work on the weekends without getting extra pay. As the character Hyman Roth stated in The Godfather II, “…this is the business we’ve chosen.” Most IT professionals realize that this is just part of the job and are comfortable with that. However, there are some companies that implement mandatory overtime hours or restrictive lunch options even if there isn’t a critical deadline, an outage, or something similar going on that requires extra hours. IT professionals are typically very hard workers. If there is an opportunity to offer your employees a traditional 40 hour work week, you should allow them to take advantage of it. There are times when they are going to have to work more than 40 hours to create a solution for a problem or business opportunity. Great. Glad you enjoyed it!